Things to do with cars, and other similar private road vehicles. 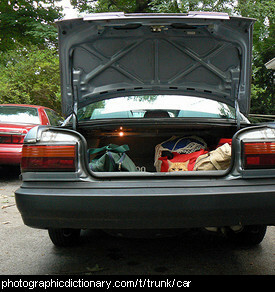 A car is a vehicle that is usually meant to carry between two and five people. 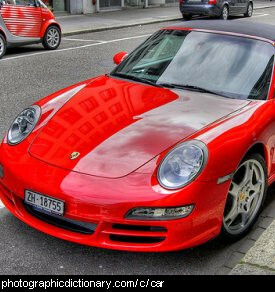 Some cars can go very fast and are used in races, but most cars are just used by people to get to and from work, shopping or school. 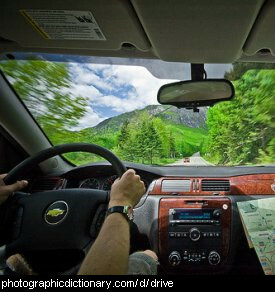 Driving is the word given to controlling a land vehicle, like a car, bus or even a horse-drawn vehicle. To drive something you need to know how to start and stop it, how to steer it, and of course you need to know the road rules to be able to safely drive. 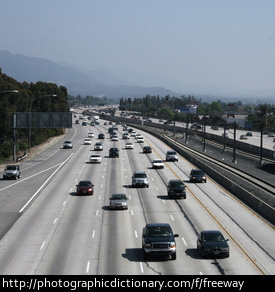 A freeway is a very large road that can fit a lot of cars on it at the same time. Freeways are meant to be driven on quite fast. 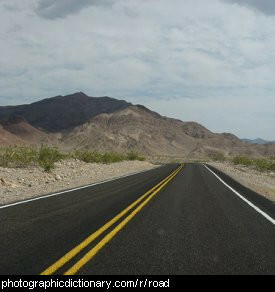 A road is a long, flat, hard place that vehicles like cars and trucks drive on. Roads connect towns and cities to one another. Roads can be thousands of kilometers long, and be made of hard asphalt, concrete, or just dirt. 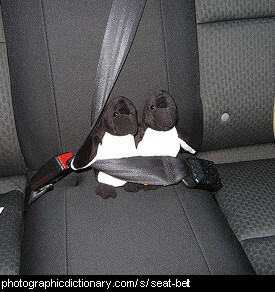 Seatbelts are found in cars and other vehicles. If you have an accident while you are driving, and you are wearing a seat belt, you will be held in your seat and will not be hurt as badly as if you were not wearing a seat belt. 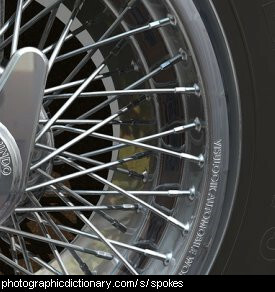 Spokes are the thin parts of a wheel that connect the center of the wheel to the edges. Not all wheels have spokes, some are solid. Almost all kinds of bicycle wheels have spokes. Spoked wheels are lighter than solid wheels. 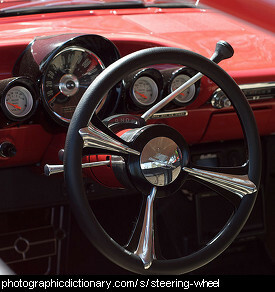 A steering wheel is a round device used to make a vehicle change direction. Steering wheels are most often seen in cars and trucks, but are also found on some boats. 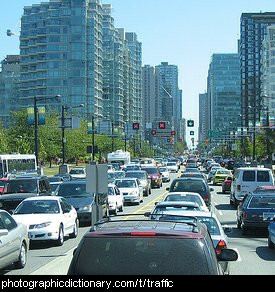 Traffic on land can be made up of people on foot, vehicles or even animals. Traffic usually travels along public roads. Different countries and different states within countries have different rules on how traffic should behave on public roads, such as which side of the road to drive on, how fast to travel, and what type of vehicles are allowed on different roads. 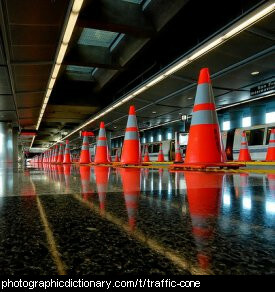 A traffic cone, also called a Witch's hat, is a brightly colored, conical object made of plastic or rubber that is put on the road to warn of something dangerous. You usually see them when there has been an accident, or they are fixing the road.